Depending on your perspective, Vancouver-based Delhi 2 Dublin is either a brilliant free-thinking experiment in ethnomusicology, or a confused jumble of all things “other.” Mashing up languages, instruments and styles from several far-flung corners of the globe into one electrified melting pot, D2D’s sophomore release Planet Electric ranges from slowed-down dubby atmospherics to hyperactive bhangra marathons. The diversely talented quintet originally formed as a one-shot performance during Vancouver’s Celtic Festival in 2006. Such a bizarre coupling of tabla drums, fiddle, dhol, electric sitar and breakbeats instantly found eager audiences in folk fans and raver kids alike. D2D has since blazed Canada’s touring circuit, from the steps of Parliament Hill to the wilderness of Nelson B.C.’s Shambhala Festival. Quite a departure from their lengthy and virtuosic debut, Planet Electric is trimmed and polished. Asian and Celtic influences seem more naturally juxtaposed on this record, showcasing decidedly more “Delhi” than “Dublin.” With every song clocking under five minutes, the album clearly strives for both accessibility and danceablility. At times Planet Electric sounds like an Ashley MacIsaac record—if Ashley MacIsaac were somehow raised in Mumbai. Punjabi vocal tracks are slick and energetic on “Tommy,” which combines a roving drum and bass beat with classical technicality. Violinist Kytami’s soaring riffs shine on “Master Crowley,” even through cheesy DJ effects and lyrical themes of intergalactic travel. 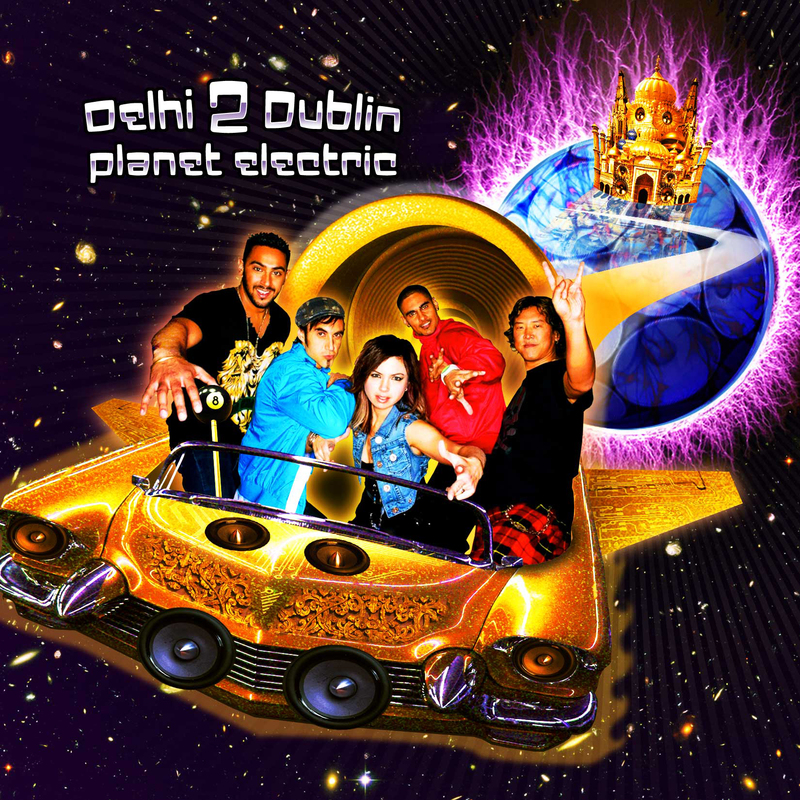 Though sometimes forced into fusion, Planet Electric confirms that originality comes easy for Delhi 2 Dublin.